As many already know, October is the Breast Cancer Awareness Month. In light of this, the SA is making next week, Oct. 25-30, Southwestern’s Breast Cancer Awareness Week. It will be great if everyone on campus would come on board with this. You don’t need to wear pink all week if you don’t have that much pink on your closet, but the SA will provide ribbons that can be worn all week. Thursday, Oct. 28 will be the highlight day. Details on a campus-wide event will come later. If you know someone with cancer, or someone who passed away from it, please send me their name and a picture. We want to include everyone on what we are planning for Thursday. 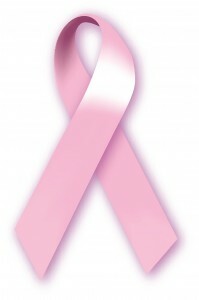 Let’s support those who have lost a loved one and the ones that are fighting this terrible disease. How encouraging are these words! As a breast cancer survivor who had 2 lumpectomies, being able to know at surgery time if all the diseased cells is incredible. In 2002, my surgeon had everything checked during the first surgery and felt good about his work. He was more upset than I was when we had to go back the next week and take out more tissue. Fortunately, I was strong enough to face 2 surgeries, but not every one is. However, I did have to face 6 chemo treatments and radiation. Maybe this information will allow more specific remedies in the future. Hook'em Horns!